Upon your arrival at Cairo International Airport, you will be met by your Tour Manager from Memphis Tours who will accompany you to your Hotel for check-in and a free welcome drink to start your Egypt tour. 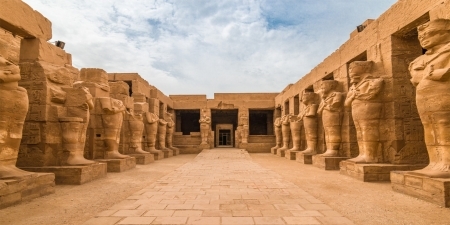 There you will be introduced to your Tour Leader for the duration of your trip who will explain what to expect on your visit and will be your point of contact throughout your stay.He will give you details of how to contact him at any time whilst in Egypt under the care of Memphis Tours. 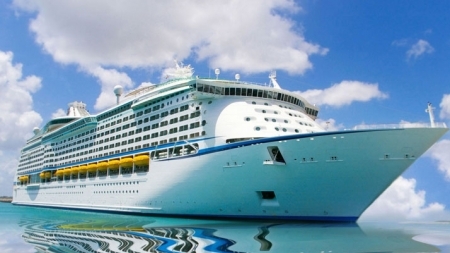 Throughout your holiday, in addition to the Tour Leader you will meet a variety of English-speaking Tour Guides, who have been chosen for their expertise on each of the areas you are visiting. After check in you are free to spend the rest of the day/evening at your leisure. An optional excursion to the ‘Sound & Light Show’ at Giza Plateau, by the magnificent Pyramids is a perfect introduction to start your exciting experience here in Egypt. Pick you up from your hotel in Cairo by air-conditioned mini bus where you will be accompanied by your personal Egyptologist Tour Guide to visit Sakkara that is part of Memphis's massive Necropolis, and the burial site of the most ancient Pharaohs where you will see the first Pyramids build in Egypt, the Step Pyramid of King Djoser that was designed by Imhotep, the ancient Egyptian architect. Also a visit to the Teti Pyramid and Tombs in Sakkara then you will be transferred to Memphis, the ancient Capital of Egypt to visit the colossal statue of Ramses II and nearby a still half-buried Hathor Temple then drive to the famous Giza Plateau, home of Egypt’s signature attractions of the Great Pyramids, one of the Seven Wonders of the Ancient World including the Great Pyramid of Cheops, Middle Pyramids of Chephren and the smallest Pyramid of Mykerinos along with the mysterious Sphinx, the Father of Terror for the ancient Pharaohs. 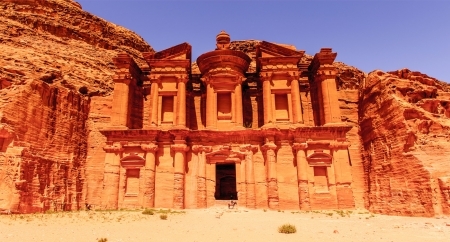 The tour includes a visit to the Valley Temple facing the great Sphinx. Back to your Hotel in Cairo for overnight stay. Please note* There is an additional charge for entering inside the Pyramids and also the Solar Boat Museum. Pick up after breakfast from your hotel with your Tour Guide to visit the world-renowned Museum of Egyptian Antiques built in neo-classical style designed by the French architect Marcel Dourgnon which exhibits a collection now of over 120000 masterpieces ranging from Pre-Dynastic era, Pharaonic era to the Greco-Roman period in Egypt, learn and discover the great Egyptian civilization and art of mummification in ancient Egypt. Next in your day of exploration, is the Citadel of Saladin that is overlooking the city from the Muqattam Hills and Mohammed Ali Alabaster Mosque, a spectacular structure inside that was built in Turkish style and very similar to the Blue Mosque in Turkey and simply considered to be one of the greatest landmarks in Cairo whose minaret can be seen from any part of old Cairo then visit the Christian heritage in Coptic Cairo including some of the early religious monuments of the city such as the Hanging Church or the Suspended Church, this basilica church was named for its location on top of the south gate of the Fortress of Babylon the church became the center of the Christian Church of Egypt. Afterwards enjoy an afternoon of shopping at the Khan El Khalili famous Bazaar and old market in Cairo and barter for some local hand made treasures. 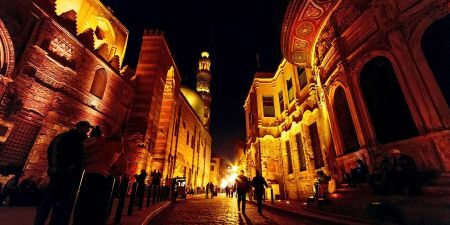 Transfer back to your Hotel in Cairo for an overnight stay. Breakfast at your hotel in Cairo and then you will be transferred to Cairo Airport to fly to Luxor where you will be met by Memphis Tours Representative who will transfer you to board your luxuriously appointed Dahabeya. After Lunch, Excursion on the East Bank to visit the magnificent Karnak Temple complex of Amon-Ra at Karnak, with its vast hypostyle hall of 137 columns, followed by the imposing 28th Dynasty Luxor Temple. 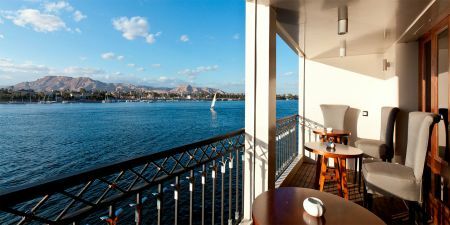 Overnight moored on the Nile Banks of Luxor with free time to explore Luxor City or take the highly recommended ‘ Sound and Light Show’ at Karnak Temple. After breakfast on your boat, your guide will take you across the West Bank of the Nile for a truly wonderful exploration of the the original resting place of the world famous boy King Tutankhamun in the Valley of the Kings along with discovering the Temple of Queen Hatshepsut (the only Female Pharaoh) at El Deir EL Bahari and the two towering statues of the Colossi of Memnon. (The three tombs visited in Valley of the Kings are determined by the Egyptian Government as to preserve them from the large flow of visitors, therefore are rotated throughout the year and cannot be confirmed as to which tombs prior to your visit). Overnight on board your Dahabiya whilst sailing to Esna. This morning you will sail to Edfu to visit the wonderfully preserved Temple of Edfu (known for it’s Falcon Headed God Horus which has a large statue flanking the entrance to the Temple. Overnight moored beside an island. 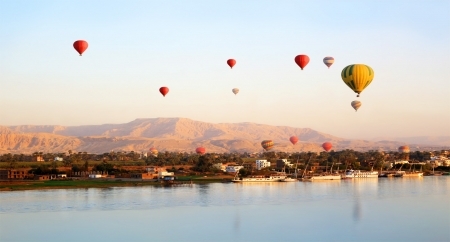 Breakfast then sailing leisurely to Kom Ombo whilst taking in the local life unchanged for centuries over time on the river Nile. Overnight docked at a small Island. A visit to Kom Ombo to see the Ptolemaic Temple (Kom Ombo Temple) dedicated to the Crocodile God Sobek and the falcon-headed Horus, God of the morning sun. Overnight moored beside a Nile island. Today you will visit the Aswan High Dam (completed in 1971) and the Old Dam (completed in 1902). You will also visit the Philae Temple, dedicated to the Goddess Isis, a structure rescued from the rising waters of Lake Nasser at the time of the High Dam’s construction. Breakfast aboard the Dahabeya followed by disembarkation and then you will be transferred to Aswan Airport to fly back to Cairo International Airport for your flight back home.